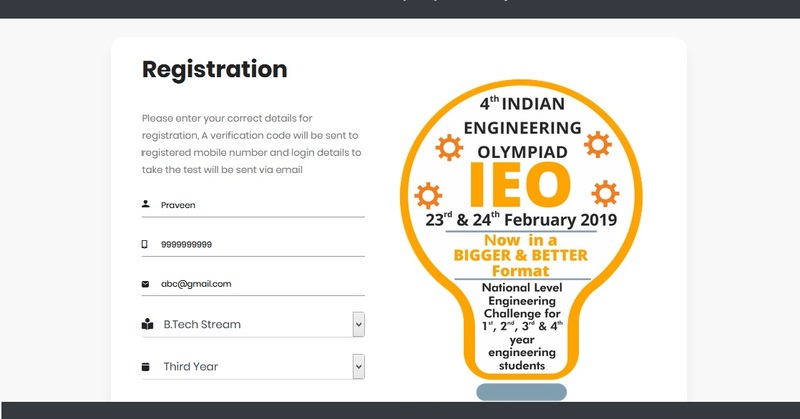 Indian Engineering Olympiad (IEO), organized by Thinkcell Learning Solutions Pvt Ltd, is a pan-India exam that offers a real test of engineering aptitude for the engineering students in their respective fields on a national platform. IE0 2019 will focus on more student engagement and work to nourish real engineering talent. IEO 2019 will be a 2 stage exam where the first Stage will be conducted online and test the engineering & general aptitude of the students and the second stage will be a paper based test conducted at our designated centers and will test students technical knowledge in their respective streams. ** Round 1 will be an Online Computer based test that can be taken from anywhere across India. ** Note- There will be elimination after each round and only select students will qualify for the next round. My city is not available in the list. What to do?